It’s hard to beat a good team twice. That’s exactly the situation that USC finds itself in as it prepares to face Stanford in this Pac-12 Championship game, and that’s good news for the Cardinal. We know Stanford has improved tremendously over the course of this season, as it always does under Coach Shaw. This year, that improvement has been even more drastic thanks to the introduction of The Gunslinger, KJ Costello, at starting quarterback. Stanford couldn’t keep up with USC in the September shootout, but with Costello under center, the offense is completely different. Meanwhile, Stanford has figured out how to stop the run at least a little bit, which it absolutely could not do in the first matchup with USC. Stanford forces the Trojans to put the game in the hands of Sam Darnold, and he gives his team the halftime lead. But in the second half, Love breaks a big run in his final Heisman statement, and Costello wins the QB battle to announce his presence amongst the elite quarterbacks in college football heading into next year. Cardinal seal the game with their second interception of the night and fourth of the season against the future first-round draft pick Darnold. Stanford is entering the game with the best player in the country. Whether he wins the Heisman Trophy or not, junior running back Bryce Love will undoubtedly put on a show with the Pac-12 Title on the line. However, the last time the two teams met, though Love may have rushed for 160 yards, the Trojans were able to gain over 300 yards on the ground as well as another 300 in the air in their decisive 42-24 victory. According to OddShark, USC is a current three-point favorite. However, the Cardinal have yet to lose a home game under Coach Shaw when treated as underdogs. With the game being located a mere 20 minutes away from campus, the Card will just add to the season’s 6-0 home record by shutting out the Trojans and proving why the North is ours. Per Stanford fashion, the Cardinal have dramatically improved as the year has progressed, and the Trojans will not be able to put them away as easily as they did in September. Harrison Phillips and Bobby Okereke will ensure that the defense stands strong against Sam Darnold and the Trojans. Though one of the best quarterbacks in the Pac-12, Sam Darnold will turn the ball over multiple times and give K.J. Costello more playing time to prove why his great performance against Notre Dame was not just a fluke. In the end, Stanford wins the battle 37-27. Stanford is a completely different team than the one we saw in September, on both sides of the ball. Obviously KJ Costello has given the offense a spark it didn’t have before, and he’s done it against much better defenses than USC’s, but I think the biggest reason the Cardinal come out on top this time is their defense. This is a unit playing with a lot of confidence right now, fresh off a performance in which they held the nation’s seventh best rushing offense to just 154 yards on the ground. Not bad, considering Notre Dame ran for 377 yards against the Trojans. That being said, I highly doubt we see Ronald Jones II and Stephen Carr breaking off big runs at all like they did in the first round of this matchup. Also, his highness Sam Darnold does have a propensity to turn the ball over in big games, while the Cardinal defense has a propensity to force turnovers in big games, at least recently, so do the math on that one. On the offensive side, Bryce Love has shown few signs of slowing down whether he’s injured or not, and I don’t see any reason Costello won’t be able to lead the offense down the field as easily as he did last week. Lastly, the Cardinal are a completely different team at home, and while they won’t get to play this one at Stanford Stadium, they’ll be right in their own backyard, and a half-full Levi’s Stadium might provide a similar ambience. Either way, much better than playing in the Coliseum. I think (and hope) this will be one of those classic games Stanford fans will talk about for years to come, and the Cardinal pull away in the final seconds with a Jet Toner field goal. I have never liked whenever everyone picks the same team to win. I remember watching NFL FOX Sunday all pick my Dallas Cowboys to win, and then, they end up losing. If the game is close, USC should have the upper hand. There are a few reasons: The Trojans have Sam Darnold, they have a good offensive line, they have a good running attack, and they are coming off a bye-week (thanks, Larry Scott). Darnold hasn’t been as good as last year’s miracle campaign, but he has a good arm and can pick the secondary apart given enough time. His ability to escape pressure was on display in the first matchup and could continue on Friday as Stanford lost Eric Cotton for this game. If the Cardinal defense is gassed during no-huddle situations, then Darnold could close out the game. The dynamic duo at running back Ronald Jones II and Stephen Carr combined for 235 rushing yards and two touchdowns in the first game against these two teams. Stanford has had trouble stopping the run, and it will be vulnerable as the Cardinal might be forced into nickel and dime versus USC’s passing offense. The Trojans are also coming off a bye-week and have had two weeks to prepare and two weeks to heal. 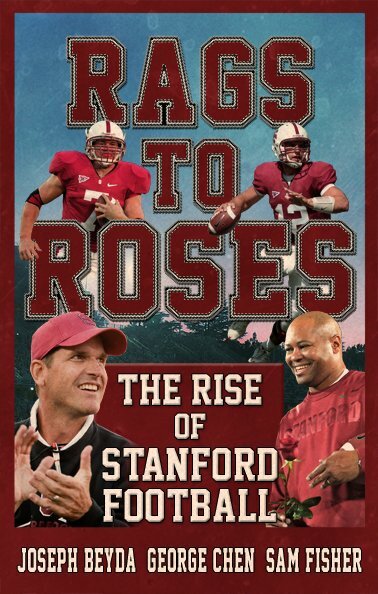 Stanford, on the other hand, is playing on a short week, which is difficult for any team. The 2017 Pac-12 Championship should be a cadre of offensive explosions where the more experienced passer could prove the difference.